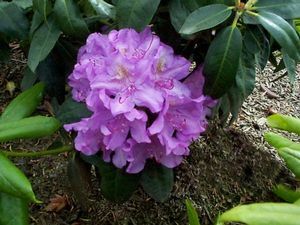 A tall, very hardy plant with pinkish lilac flowers. Long narrow leaves. Provides interesting contrast when planted alongside pines or other conifers.